Now that summer has begun, I have a HUGE list of things I want to get done. First on this list is cleaning up my desktop. It is cluttered with links and documents and things that just plain need to be put in their place!! Below are a few things I found that might be useful. Below is my math notebook cover. 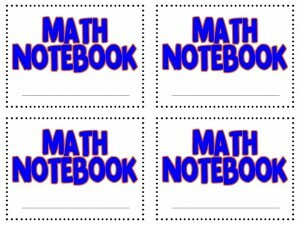 I glue these on the front of my student’s math composition books, then cover the whole thing with packing tape. I usually stockpile them when they are on sale for the next year, so mine are all ready to go for August. Yeah! These are blue and orange, but the download also includes a black and white version. Those are cute printed on bright paper, too. 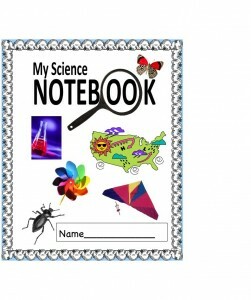 Next, this is the label I use to cover my science composition books. I got into notebooks and foldables a lot this past year. Again, like with the math I glue stick it down and cover it with packing tape. 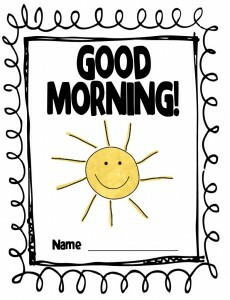 Finally, this is the cover I use for my morning work packets. Can you tell I like covers and labels?? We change up our morning work throughout the year, but this helps keep it uniform. I’ve been working on a lot of new units and tweaking things I did in the spring, so this is going to be a busy week for ‘ol Teach-a-Roo. I hope everyone’s summer is off and running! !